In another effort to pander to the minority of Americans who want to make abortion and birth control inaccessible, President Trump has again used women’s health to cynically play politics. His administration’s latest draft rule is designed to stop women from accessing the full range of reproductive health care options under Title X, our nation’s birth control and reproductive health program. Title X provides funding to a nationwide network of social safety net clinics, including Planned Parenthood facilities, so these clinics can provide family planning and reproductive health care to people who don’t have adequate health insurance coverage or access to other sources of health care. Title X was enacted in 1970 to provide a broad range of contraceptives and preventative health care as part of President Nixon’s historic promise that “no American woman should be denied access to family planning assistance because of her economic condition.” Despite its bipartisan origins and long-time bipartisan support for the law, the current administration has incorporated this dangerous rule change as one part of its persistent and partisan attacks on Planned Parenthood in particular, and reproductive rights in general. The new rule will impact women’s health care access in a two ways. First, it would create new rules for health care providers that will make it impossible for millions of patients to get birth control or preventive care, including cancer screenings and sexually transmitted infection testing and treatment, from safety net providers like Planned Parenthood, by stripping these providers of funding – a long sought political goal of anti-choice lawmakers. It would also force doctors, nurses and providers to withhold information about pregnancy options like abortion in order to keep critical health care funding in place for their clinics. Doctors, nurses, hospitals, and community health centers across the country could no longer counsel women about abortion or refer their patients who want safe, legal abortion to other providers. 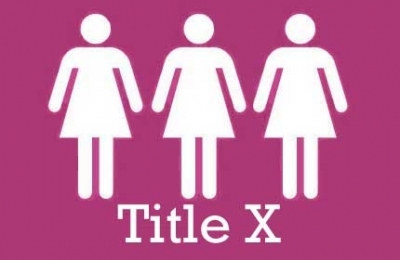 It would even establish a new policy that Title X funded providers no longer have to provide every effective and acceptable method of birth control approved by the Food and Drug Administration, a direct reversal of the current best practice that ensures women have access to all the options to decide for themselves which works best. This is just the latest in the long string of efforts by the Trump-Pence administration to interfere with women’s health care decisions and take away comprehensive coverage, benefits and options. Efforts to repeal the Affordable Care Act took aim at breast cancer screenings, pre-natal, maternity and post-partum care as “non essential” benefits that could be excluded by health insurance plans. And the new rule issued by the administration that allows employers to deny birth control coverage in their employees’ health benefits is yet another example of gender discrimination. All of these efforts especially hurt communities who traditionally have had less access to quality, affordable health care, such as low-income families, rural women, immigrant families, women of color and the LGBTQ community. And with North Carolina being one of the 18 states that still has not expanded Medicaid, low-income Tar Heel women are potentially more in need of the safety net clinics that may end up shutting their doors without adequate Title X funding. This political move to bar providers from even talking about abortion with patients and to treat abortion as something other than basic reproductive health care is nothing more than a “gag” rule that allows politicians to insert their ideologies into exam rooms. Since the legalization of abortion in 1973, anti-abortion lawmakers have used health care funding rules to stigmatize abortion and shame those who choose this option. Such political grandstanding has had the impact of making all of women’s healthcare needs susceptible to being viewed through the lens of morality and politics, rather than as a human right essential to women’s lives. The ability to plan one’s family is a key component of economic security, and can have tremendous impact on one’s health and safety. All people deserve the full range of health care services and information they need to make the best decisions for themselves. Being willing to close safety net clinics and deny low-income communities access to the health care they need to score political points with special interests groups is just the latest evidence that the current administration does not consider women’s health or empowerment a priority. With seven in ten Americans supporting access to legal abortion, the administration has to realize this is not a trade-off that the American public is willing to make. Gloria De Los Santos is the Director of Action NC’s Stand with Women campaign. Tara Romano is Executive Director of NARAL Pro-Choice North Carolina.